Everything you need to celebrate Banned Books Week! Boasting a cover by Raina Telgemeier, Americas most popular kids comics creator -- and one of the most frequently banned! 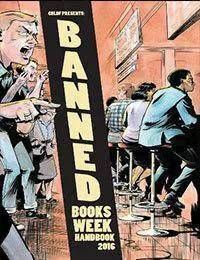 This resource reveals what comics are banned, how to report and fight censorship, and how to make a celebration of Banned Books Week in your community!